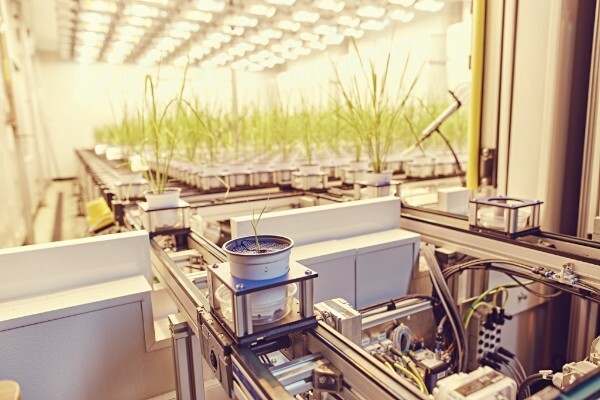 The Donald Danforth Plant Science Center, the world's largest independent plant science institute, will focus on digital agriculture for sustainable production. The Wells Fargo Innovation Incubator (IN2) is expanding its program in Round 5 to advance technologies that address the interconnection of food, energy, and water. The Donald Danforth Plant Science Center will be a strategic partner to help further develop and validate promising agriculture technologies addressing critical sustainability challenges. The IN2 program is uniquely positioned to further the development of technologies that reduce agricultures carbon, energy, and water impact. 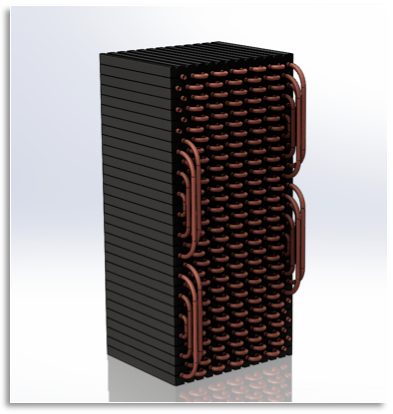 NETenergy has created a thermal battery that stores energy to help commercial buildings control cooling costs and manage energy demands. IN2 portfolio company NETenergy is playing a key role in the next paradigm of the electric grid. NETenergy has created a thermal battery that stores energy to help commercial buildings control cooling costs and balance energy supply and demand. Energy storage devices convert energy from forms that are difficult to store to more conveniently or economically storable forms. Sometimes referred to as batteries or accumulators, these energy storage devices help manage the amount of purchased power required to supply consumers during peak load times, when energy need is greatest. This technology can stabilize operation at a building, campus, or microgrid level to achieve a good balance between generation and load. Energy storage devices can also help grid operators to more smoothly and easily dispatch renewable energy with intermittent generation profiles. To tackle increasing energy demand and provide commercial building owners with an energy storage solution, Thermal Energy Storage (TES) company NETenergy has created a thermal battery that stores energy to help commercial buildings control cooling costs and help utilities balance the growing time-of-day disparity in energy demand. IN2 is thrilled about our new partnership with the Donald Danforth Plant Science Center (Danforth Center) and would like to welcome two new partners. The Danforth Center has grown to become the largest nonprofit, independent research institute focused on plant science in the world. The Danforth Center’s mission is to improve the human condition through plant science and focuses scientific research at the nexus of food, energy and the environment to improve the productivity and sustainability of agriculture. Claire Kinlaw is the Director of Commercialization at the Danforth Center. As a plant scientist Claire led applied science projects for 20 years for the USDA where she co-developed a genomic science program for forest trees. Her career with the USDA culminated with her directing the Institute of Forest Genetics. Claire co-developed and led a boutique consulting practice where her focus was on developing programs for economic development clients and advised early stage life science companies and small businesses on customer focus, product development, and growth. 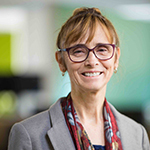 She also brings experience in innovation commercialization program management, agriculture start-up product development, and customer development through the Larta Institute and TerViva. 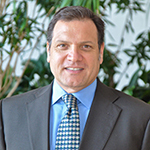 Sam Fiorello is Chief Operating Officer and Senior Vice President for Administration and Finance of the Danforth Center. He also serves as President of the Bio Research and Development Growth (BRDG) Park at the Danforth Center. Sam has extensive experience in managing financial, intellectual property and other administrative functions. Prior to joining the Danforth Center in 1998, he was Chief of Staff at Monsanto Company’s Office of the President, where he helped develop the business plan and initial pool of funding to establish the Danforth Plant Science Center in 1998. Wells Fargo Board of Directors member, Matt Servatius discusses how the Innovation Incubator (IN2) supports companies of all phases and growths. Applications are now open to present at the 2019 Industry Growth Forum and Emerging Markets Day. Don’t miss the chance to meet the industry’s leading investors, entrepreneurs, and technologists! Early Bird Ends Oct. 31st. Shell launches GameChanger Powered by NREL (GCxN) a multimillion-dollar clean tech incubator. MaRs hosted their first Women in Cleantech Challenge, learn more about their semifinalist. Tech Belt Energy Innovation Center opens new battery testing lab. Join NECEC at their Investor Corporate Customer Connect (ICCC) event in Boston November 30th. This event brings together startups, investors, strategic partners, and customers. Contact cmaderia@necec.org with any questions. APANA’s IoT water management system deployed by Costco saves 22%. APANA installs IoT solution at MGM Resort’s Bellagio in Las Vegas. ESS, Inc founder and CEO, Craig Evans, publishes an article in Renewable Energy World about Long Duration Energy Storage Technology. Geli partners with AECOM and Lockheed Martin to deploy DoD’s largest peak-shaving battery. Geli and Osaka conduct a joint virtual power plant (VPP) demonstration project. Go Electric secures $4 Million Growth Financing from WindSail Capital. Go Electric received federal grant for production facility expansion. Heliotrope Technologies Inc and OSG team-up to introduce NanoEC™ smart glass technology. J2 Innovations helps buildings get smarter with tech. LiquidCool technology could be the end game for cooling electronics. Maalka named one of the finalist for Clean Economy Startup Pitch Competition. PowerFlex’s EV charging technology featured in Green Tech Media article. simuwatt featured in article on making buildings smarter for a cleaner future. SMC was featured in theNEWS about their smart motor which leads to 53% HVAC fan energy savings. Transformative Wave CATALYST systems lead to savings of $140K a year. Whisker Labs technology adoption analyzed in new white paper. If you’d like more information on any of the IN2 Portfolio Companies please reach out to IN2@nrel.gov.